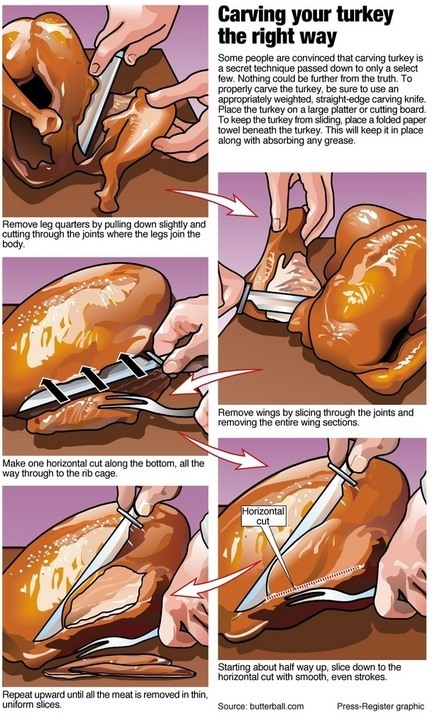 So the cooking of the bird doesn't lie on your shoulders this Thanksgiving. Lucky. But before you relax too much, there is a wild card- you never know who will be handed the carving knife. 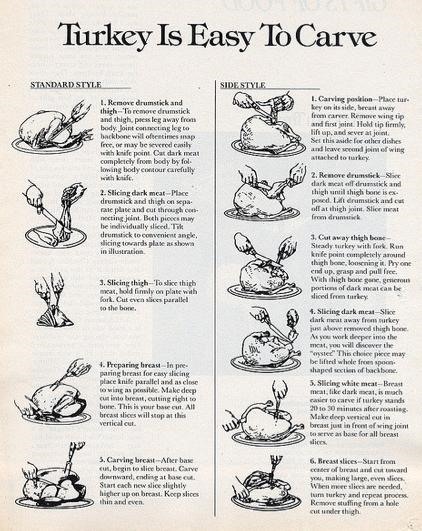 Below, five handy infographics for carving a turkey like a pro. Click through to view larger. 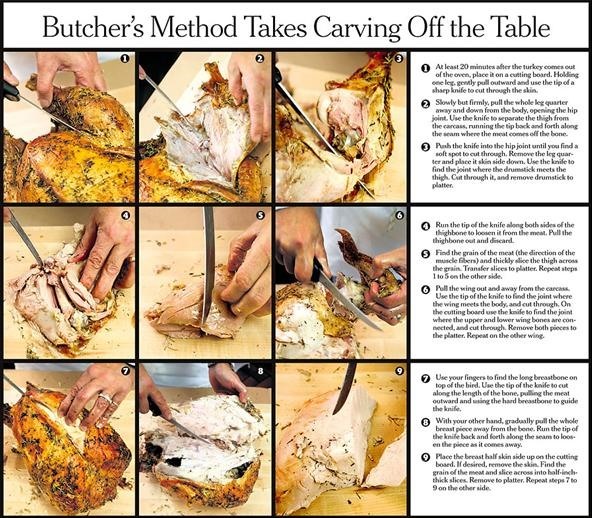 While not technically an infographic (no graphics used, but photographs instead), the New York Times' 2007 piece on the "Butcher's Method" is perhaps the most useful. Previously, Friday Fresh: Your Thanksgiving Turkey Guide.